There is literally no room for error, or air for that matter, between the Hornets shown in this cockpit video. 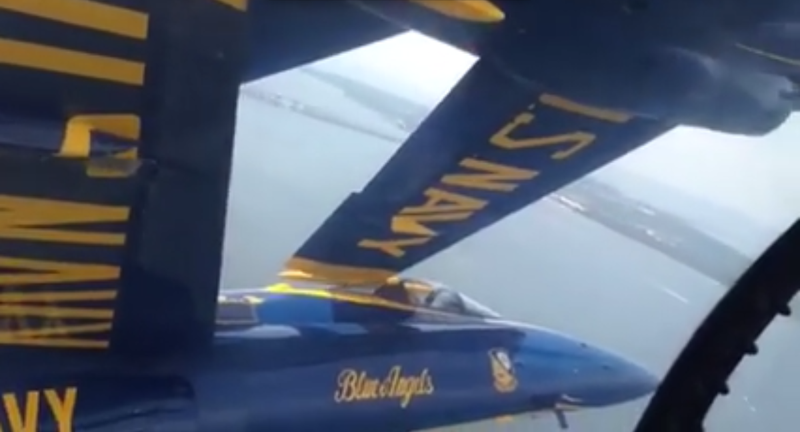 It was shot from the slot position flying in the Blue Angles’ four-ship diamond formation. The left and right aircraft wing rails almost touch and the slot pilot’s canopy seems within an arms reach of them. This type of amazing flying showcases the team’s hard-learned skills that have been built-up over the practice and show season.